Part of a fantastic series that gets young readers reaching higher. Want to be on top? Climb the Reading Ladder! How do you get a naughty little dinosaur to learn table manners? Dilly the Dinosaur’s mum has a great idea: she’ll invite a good, quiet dinosaur to tea. But when Dilly starts playing messy games with his food, soon there are two naughty dinos at the table! Tony Bradman is extremely well known in the world of children’s books as both a writer and reviewer. 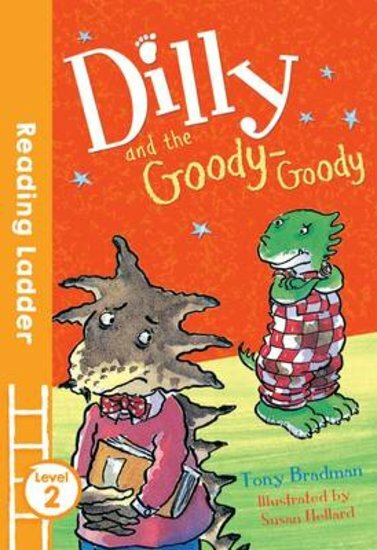 He has had particular success with books for young readers, and his best known series to date, ‘Dilly the Dinosaur’, has been in print for over 10 years. ‘Magnificent Mummies’ and ‘Mummies in Memphis’ have both sold over 50,000 copies. He has been published in Italy, Scandinavia and the US.